Before I get to my review, let’s review the difference in the Extreme Bar Mitts. First, the price. 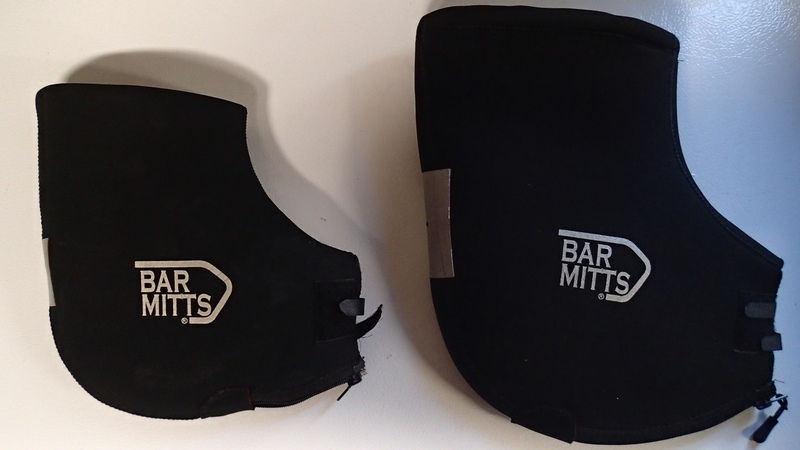 Regular Bar Mitts are currently priced at $74.95, while the Extreme Bar Mitts sell for $125. Our family saves $300 per month or more by not having a second car, so cost for appropriate winter biking gear is easy to justify compared to the alternative. as the XL Bar Mitts, so the size difference is available without the Extreme price upgrade. The larger size does present some minor challenges. First, when you remove your arms from the sleeves, where you aim to re-insert them is now a bit further away from the handlebars. I found the difference here small compared to the original Bar Mitts, but you definitely have to aim for the opening and not just for the handlebars. The larger size is a tad heavier, which makes it more important that it has a solid connection with the handlebars to keep them in place. More the handlebar connection next. a point an shoot camera. Mind you, I’ve only tested that feature in my garage, but there’s more space all around to support this. Note that as of this writing, the XL Bar Mitts are out of stock. 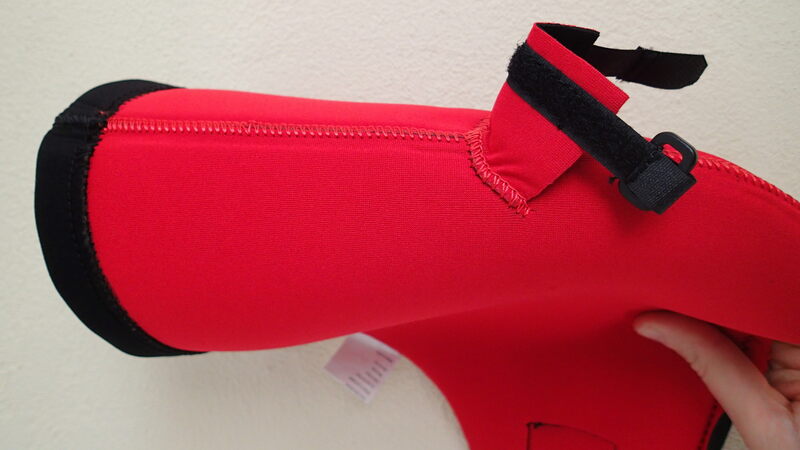 You can see that it features a bit of velcro that you can reach into the sleeve and fix around the handlebar. This generally works well enough, but it can be a bit awkward to blindly reach a hand into the sleeve to fish this around. 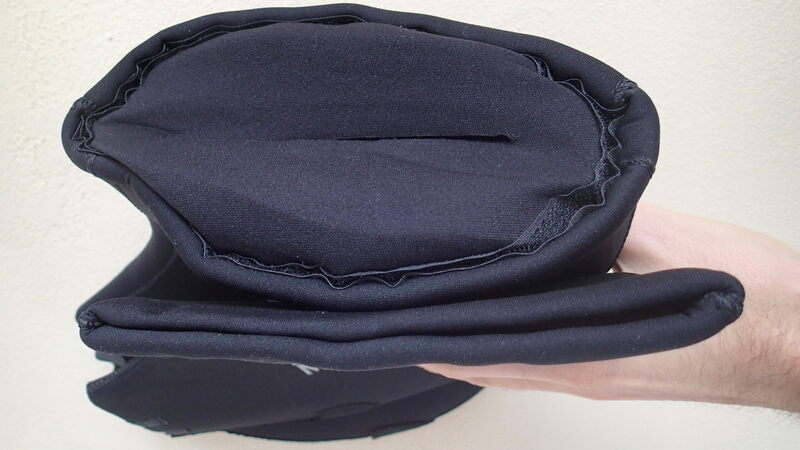 There’s a removable plug with a hex head bolt on the outside and a tiny matching hole in the neoprene. After installing the mitts, you can reach a hex wrench through the tiny hole which cause the rubber to bulb out and grip on the handlebars. In my first installation attempt, I did not find this new method particularly faster or easier to deal with. It’s impossible to see the bolt head that you targeting with a wrench through the tiny hole in the neoprene, so I still blindly stick one hand in a mitt to help guide it into the bolt. I also like to a Mountain Mirrcycle Mirror with my Bar Mitts. On the original model I cut a hole to stick the mirror through on one side. As I review the latest options available, I see that both regular and Extreme Bar Mitts now have model options for bar ends (2 holes) or bar end mirrors (1 hole). This is the model I would likely buy in the future for myself, making the plugs less of a difference between the original and Extreme. One benefit to the handlebar plugs on the Extreme model might be security: Once the mitts are installed an additional tool is now required to remove them. Unless you are familiar with the particular wrench required and how they are they attached, it’s not going to be an easy grab-and-go operation. I would feel more secure leaving the Extreme Bar Mitts in long term parking than the regular ones. That said, in the past four years I’ve never had a pair of Bar Mitts stolen or heard of someone who has. I this aspect could be improved in a future design. Maybe magnetism could be used to make a bolt that easily clicks into steel handlebars. I’m not sure what’s best, but I think there’s room for improvement here. 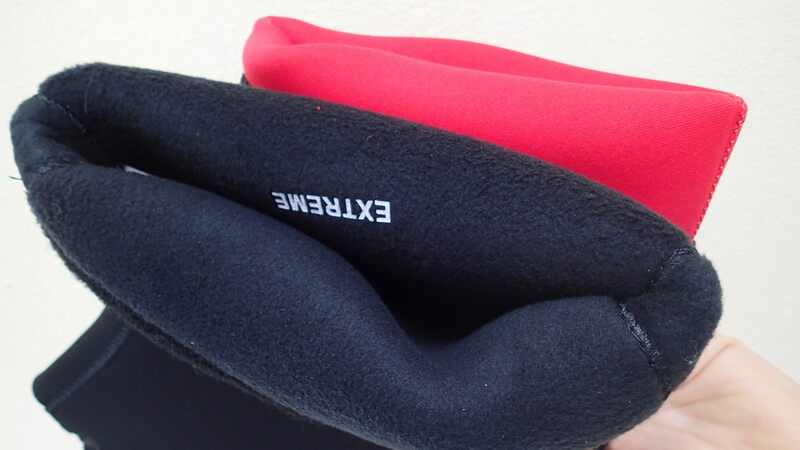 Another way that Extreme Bar Mitts add warmth is with the addition of a fleece liner. 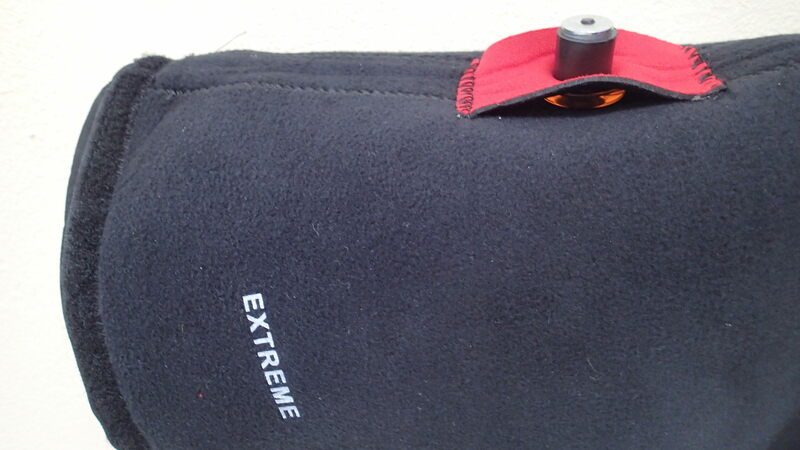 Here you can see the original liner vs fleece inside the Extreme Bar Mitts. I have already used original Bar Mitts for multiple years. Anecdotally, I would rate their comfort range for me from about 40F to 0F. At 40F I would use them with no gloves and start to sweat in them. At 0F I’d wear fleece-lined wool mittens inside. My hands still get colder but would be functional, not painfully cold. I rarely went far at 0F, but they worked for trips up to five miles. Rides at 15F were sufficiently comfortable with Bar Mitts plus wool mittens, where they would not have been as comfortable for me with any other glove and mitten combination I had tried alone. This past week I used the Extreme Bar Mitts in temperatures ranging from a -5F windchill up to a balmy 20F. So far I’ve only tried them in combination with convertible fleece-lined wool mittens. With the Extreme Bar Mitts, I was not just sufficiently not-freezing, but comfortable even at 0F. At times I felt I was closer to sweating in the mittens than cooling down as I rode. In the teens and closer to the 20 degrees, I was almost too warm at times, and would flip open the convertible mittens inside the Bar Mitts and use my bare hands directly, although bare hands were a tad too cool at that temperature. Using lighter weight wind gloves in the teens would likely be perfect with the Extreme Bar Mitts model. I had originally thought I would only put on the Extreme model for the coldest days, but I now suspect the comfort range extends to warmer temperatures than I expected. Now that I’ve tried them, I’m more inclined to leave the Extreme Bar Mitts on and use lighter gloves or no gloves in cooler temperatures than I did before. I’ll also try using removing the Velcro sleeve cuffs if I get too hot. Previously I had decided that 0F was the coldest temperature I would consider bike commuting at. That was my limit, with the warm of my hands perhaps being my weakest point. But this week I was able to comfortably commute comfortably at 0F. With Extreme Bar Mitts, I think I could now comfortably bike commute at -5F with the gear I already have. In Bloomington, Indiana I rarely get the opportunity test riding in temperatures that cold. But when I do find my new lower limit for the temperature I’ll bike in, the warmth of my hands won’t be the limiting factor.